If Alan Babcock has his way, the industry will have an independent certification program to help practitioners earn credentials for their knowledge and experience, and industry professionals will have a stronger voice in setting standards and regulations that affect their work. With support and initial funding from a number of individuals and companies, the Societies were formed in August. 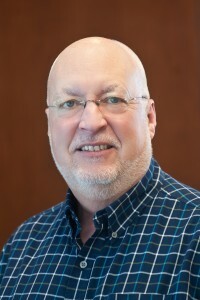 Since then, Babcock has been recruiting board and committee members and individual and company members, as well as leading the effort to build out the industry’s first proctored certification exams. To become certified, retail professionals will have to pass a rigorous proctored exam, at which time they will be able to display their credential—either CCCP, CPCP or CMRMP—after their name. “It’s similar to an accountant getting their CPA or a computer professional qualifying for MCSE Microsoft certification,” he said. In addition, there’s a parallel program for cultivation professionals to qualify as a Certified Cannabis Cultivation Technician (CCCT), a Certified Cannabis Master Grower (CCMG) or a Certified Cannabis Extraction Professional (CCEP). Certification is equally valuable to industry companies. 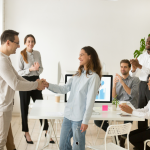 Without an industry-accepted certification program, it’s impossible for hiring managers to compare the knowledge and experience of job candidates, or even internal employees seeking promotion. “Candidate ‘A’ can say they were trained by one company, and Candidate ‘B’ can say they were trained by another,” Babcock said. “But training programs cover different information, so it’s impossible to compare knowledge. However, if the two candidates receive one of our certifications, the hiring manager knows their level of knowledge has been objectively validated, and can see what it consists of. Babcock said the Societies won’t be in the business of providing training. Rather, professionals can obtain their knowledge from any source: industry training companies, their business’s internal training programs, books, conferences or just learning on the job. But once they think they’re ready, they can sign up to attempt a certification exam. According to Babcock, the Societies will provide information in the form of conferences and seminars, as well as networking opportunities. “In our industry research, we heard loud and clear that retail and cultivation professionals are strongly interested in networking with their peers,” he said. The certification exams are currently being developed by members of the Societies serving on their Certification Committees, Babcock said. He expects the first exams to be completed and ready to be taken later this year or in early 2017. Curriculum outlines will also be available to members, so that certification candidates can see the scope of the body of knowledge that will be included in the exams. Memberships are focused primarily on individual professionals. Regular membership is $98 per year, but 50 percent discounts are available through Nov. 30. “Individuals who have the vision to be among the first to join will be recognized as Charter Members,” Babcock said. As a Charter Member, your first year’s dues are only $49. You’ll receive lifelong recognition as a Charter Member, as well as 50 percent off your first certification exam and 50 percent off registration to one of the Society’s events. Babcock said the Society also offers two types of company memberships. 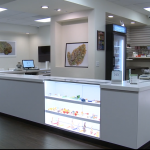 “If a dispensary or rec store, or a cultivation operation, wants a group of memberships for multiple employees, they can purchase a company membership,” he said. “Or if an organization sells products or services to retailers or growers, they can become supplier members.” In either case, Charter Member discounts and benefits also apply. “But to be a Charter Member, either individually or as a company, you have to sign up by Nov. 30,” he said. 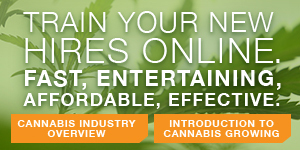 Memberships are available online at www.cannapros.org.